On this lovely Memorial Day while most people were off at the beach or BBQing, I stayed home and baked. While the main reason for staying home is because I am coming off of a cold and Mike is right in the middle of one (yes I gave him a cold with only a week until our marathon – bad girlfriend! ), the primary reason for the baking was simply because we wanted comfort food. I realized that I hadn’t baked even one time since we moved into our new apartment on January 1, 2011, which is really quite unacceptable. I really love to bake and this year I wasn’t even able to bake Christmas cookies due to the fact that we were on vacation in Costa Rica for the 10 days leading up to Christmas, which is prime cookie baking time. 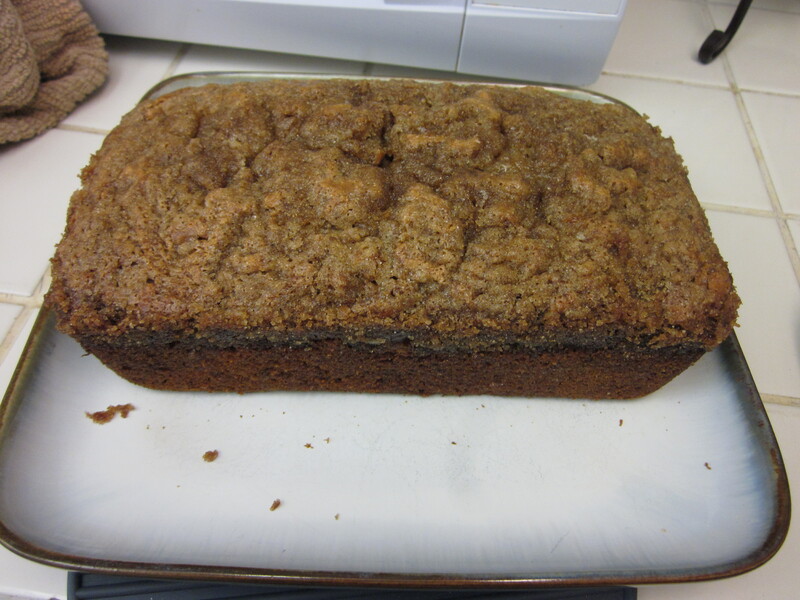 While perusing the nutrition and fitness blog called The Singing Runner this week, I came across a recipe for a healthy version of one of Mike’s favorite baked goods – banana bread (also a great way to incorporate one of the best foods for runners, bananas, into your diet). I personally only discovered my love for this little cake of banana goodness in the last year or so but have never attempted to bake it. Today was my chance to try! Mash bananas with a fork until no thick pieces remain. Mix together applesauce and sugar in a medium bowl. Stir in flour and salt until just moistened. Do not overmix!!! In a separate bowl, mix together baking soda and hot water and then add to batter. Spread batter into a greased 9×5 loaf pan. (Optional) In a separate bowl mix together brown sugar and margarine until mixture is coarse and crumbly. (Optional) Spread walnuts on top of bread and sprinkle brown sugar mixture on top. Bake for 55-60 minutes or until center comes out clean. Let cool in pan for 10 minutes before transferring to a wire rack to cool. Although I had the foresight this week to purchase applesauce and butter, the only two ingredients we didn’t already own, I forgot to buy vanilla extract. I did a quick Google search and discovered that maple syrup can be substituted for vanilla extract. Unfortunately, we don’t have maple syrup either but we do have agave nectar, which is a substitute for maple syrup. Using transitive logic (i.e. A=B and B=C then A=C), I deduced that agave nectar should work. I also had to substitute the sugar for honey (1/2 cup of sugar = 3/8 cup honey) becuase I did another Google search and discovered that Sugar in the Raw does not work well when baking. 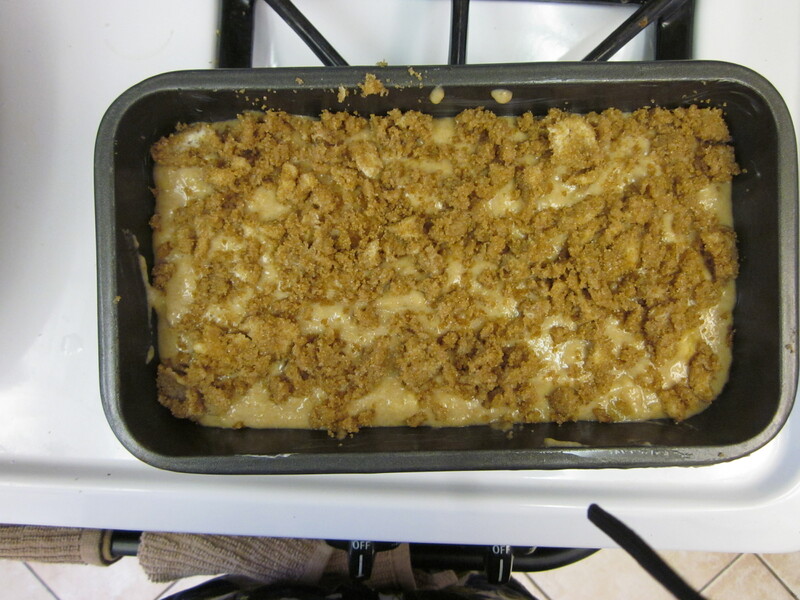 I didn’t buy the walnuts for the topping, but I did do the brown sugar/butter coating. The banana bread turned out great! The topping is definitely the most flavorful part, but overall it was very moist and delicious! 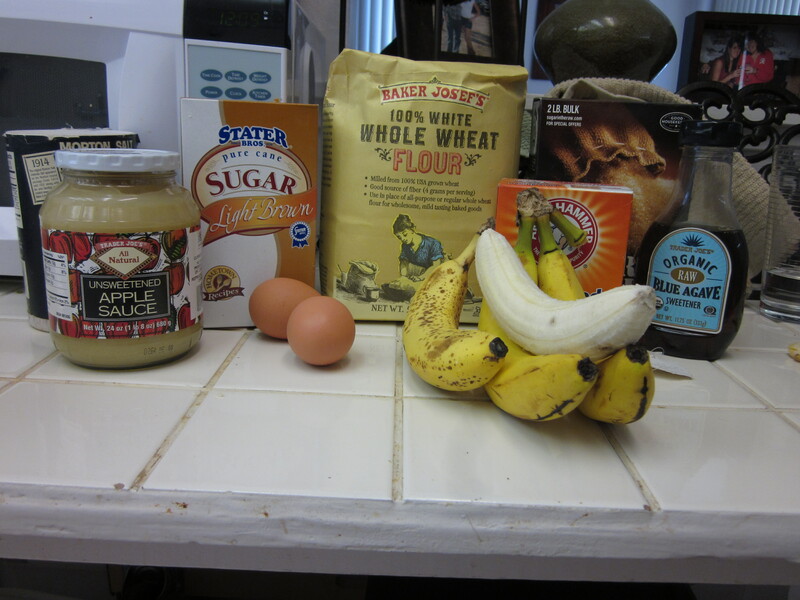 Since I have never made banana bread before, I decided to look up some recipes to see how this recipe differs from others, besides the fact that it calls for whole wheat flour. The biggest difference is the amount of butter. Recipes that I found online called for a whole stick of butter, whereas this recipe called for only 1/8 of a stick and that was for the optional topping (totally worth it). This recipe also has more banana than others (4 instead of 2-3) and calls for applesauce. I think that I’ve probably had more delicious banana breads in my life, but I must say this banana bread turned out pretty tasty and it’s (semi) guilt free! Glad you’ve found Katy’s blog! 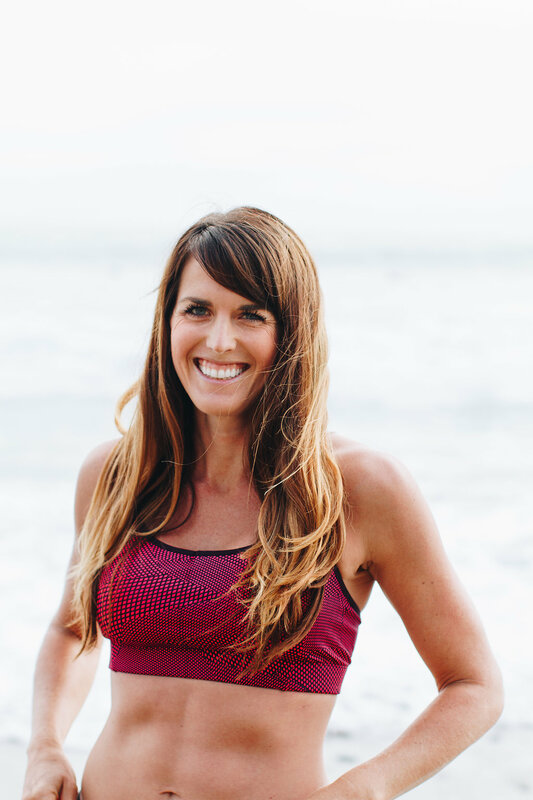 She and I ran together back in April on a blind-blogger-runner-date! She’s super sweet and got great things goin’ on at The Singing Runner! Maybe one day you’ll make your way to Jacksonville and run with both of us!